hile the lute declined in popularity in France, it continued to develop in Germany in the late seventeenth century. 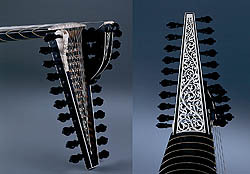 The eleven-course lute, which was used in France and Germany, acquired two more courses, strung on an extension of the peg box on the same side as the low-pitched strings. 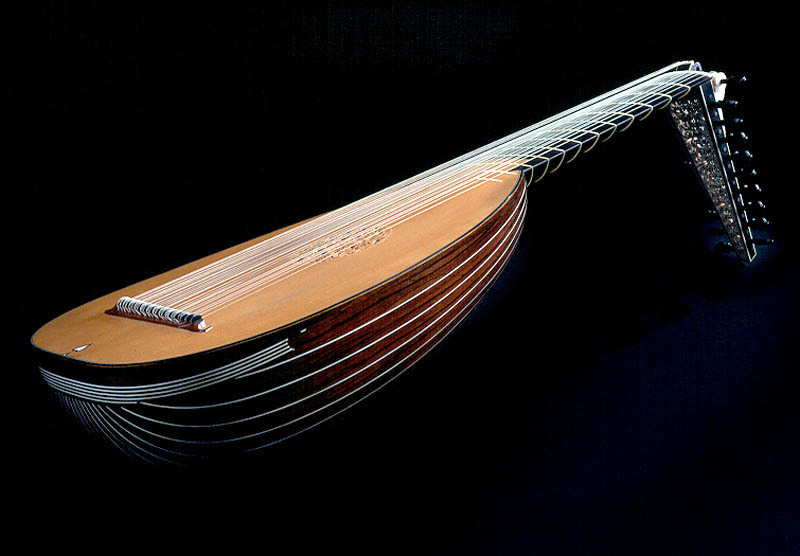 This innovation made it possible to play low notes and thus gave the lute a broader musical repertoire. The works of Sylvius Leopold Weiss, one of the leading lutenists and composers for the thirteen-course lute, contributed significantly to the development of this music. Richard Berg fashioned this lute after a Renaissance instrument built by Hans Burkholzer in 1596, which was converted into a baroque lute by Tomas Edlinger in 1705. The original ivory instrument is preserved in the Kunsthistorisches Museum in Vienna. The body is constructed of Brazilian rosewood; the German spruce soundboard is embellished with a rose designed by Berg; and the neck is made of ebony plywood. The courses, the first two of which consist of single strings, are tuned to A=415 and thus reproduce the D-minor chord and scale. Berg concentrates a great deal on the visual aesthetics of his instruments, whose physical features, he says, should reflect the quality of the sound. While luthier Richard Berg strives for impeccable tone, he is fascinated by the aesthetics of instrument making. In fact, it was the variety of the lute's shapes and decorations that first attracted him to lute making. Before that, his love of the flamenco guitar led him to Spain, where he visited numerous guitar makers' workshops. In 1973, he built his first guitar, "just to see if [he] could do it." Berg continued his research independently and constructed his first lute in 1975. Drawing on the resources of the Lute Society of America, he received valuable advice from experienced luthiers and found a major source of inspiration in his discussions with musicians. He was particularly influenced by Toyohiko Sato, an internationally renowned baroque lutenist, who now owns several of Berg's instruments. In 1983, Berg received a Canada Council grant to visit European luthiers and musicians, and study, photograph and draw instruments in museum collections. 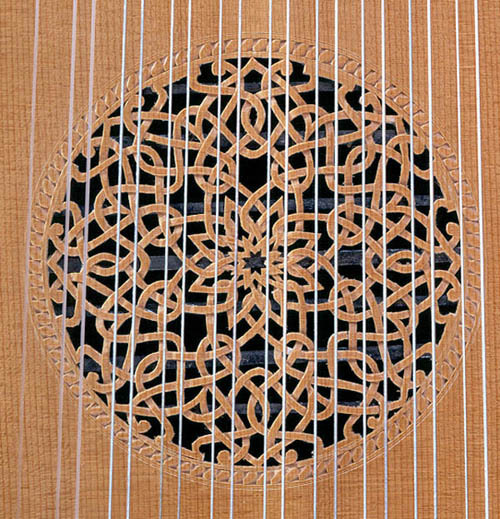 He has crafted Renaissance and baroque lutes, theorbos, chitarrones, archlutes, and classical guitars. 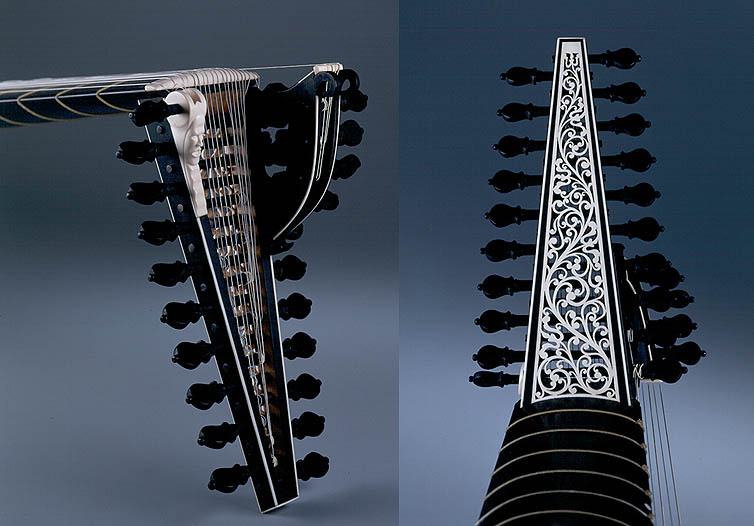 While Berg uses original historic instruments as inspiration and strives to preserve their spirit, he does not attempt to build replicas, preferring instead to tailor the instruments to the needs and tastes of his clients. 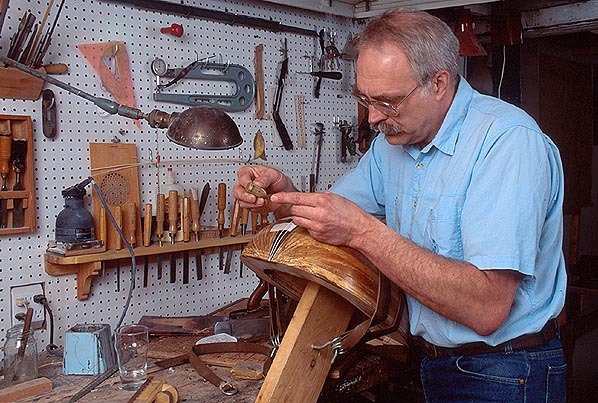 Although not a full-time luthier, Richard Berg has a distinguished reputation and a clientele of North American, European and Asian musicians.